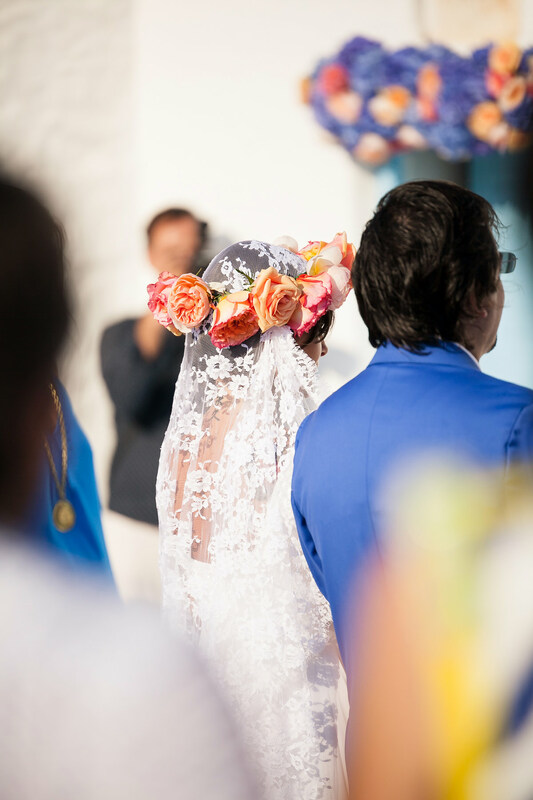 Definitely, it was an artfully arranged wedding that I have to admit that I enjoyed a lot! 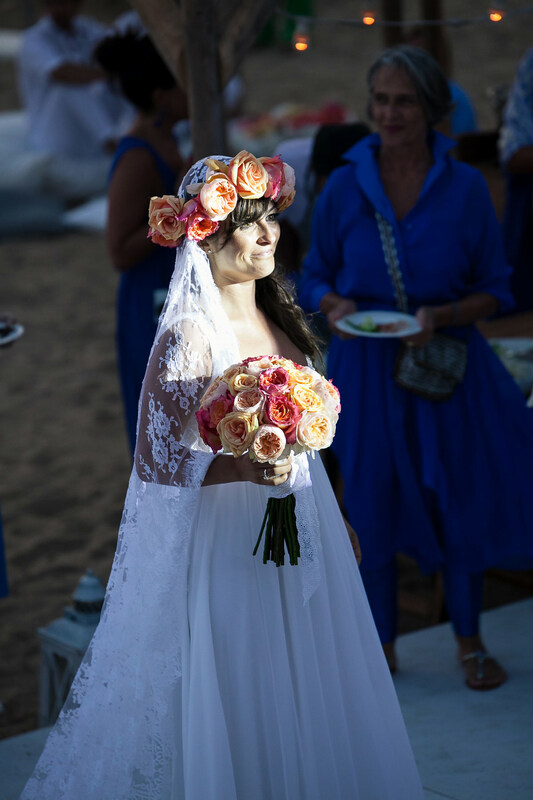 Chiara the Italian bride had a unique style and along with her strong feminity made this wedding, an exceptional moment. 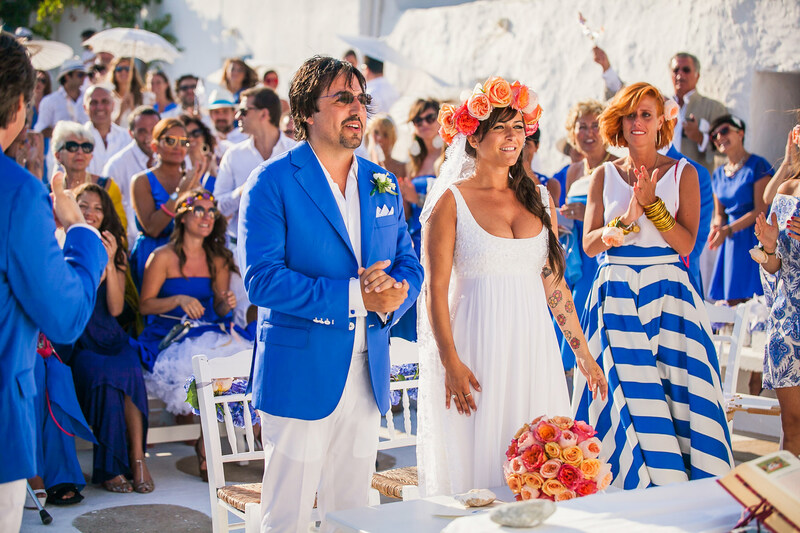 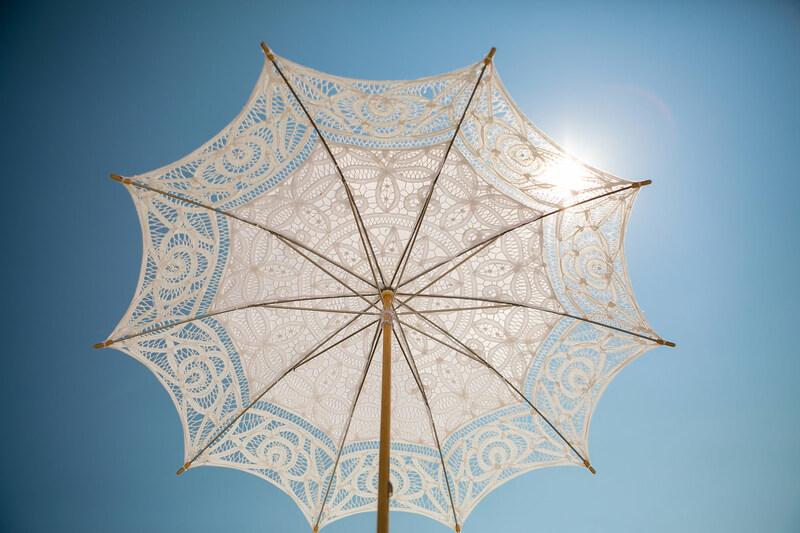 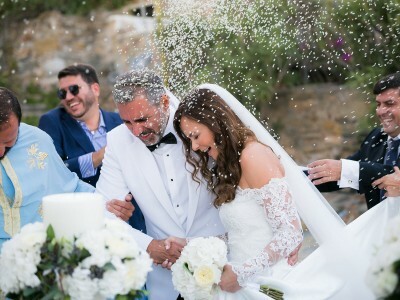 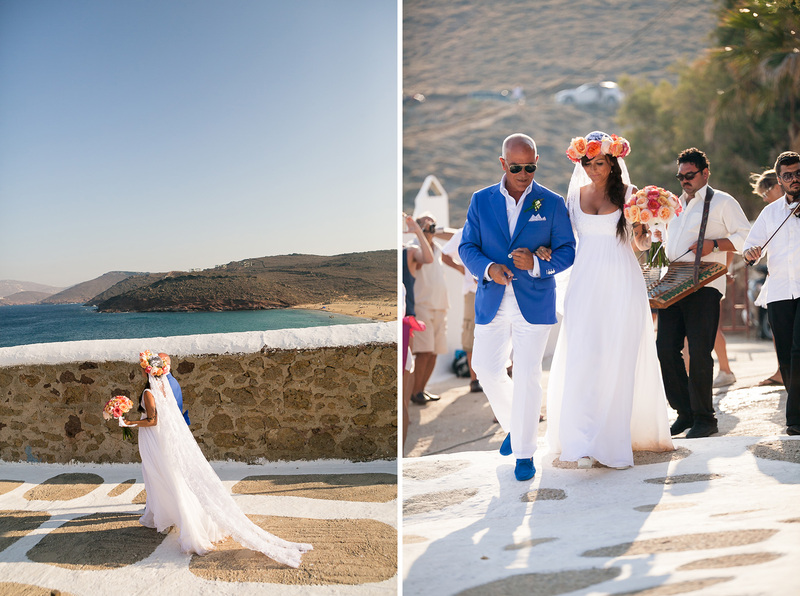 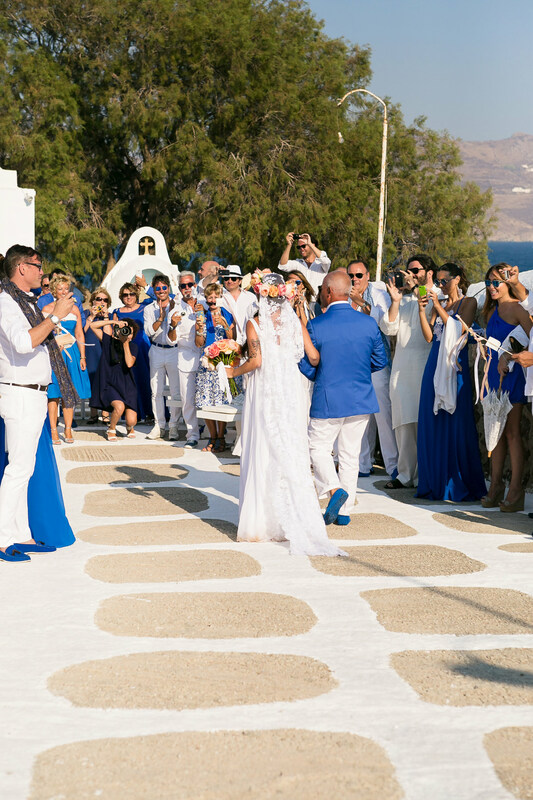 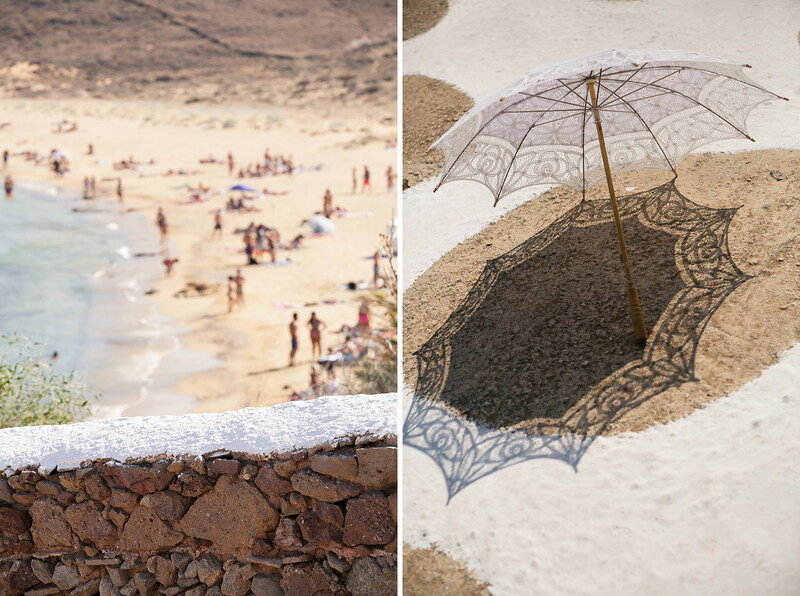 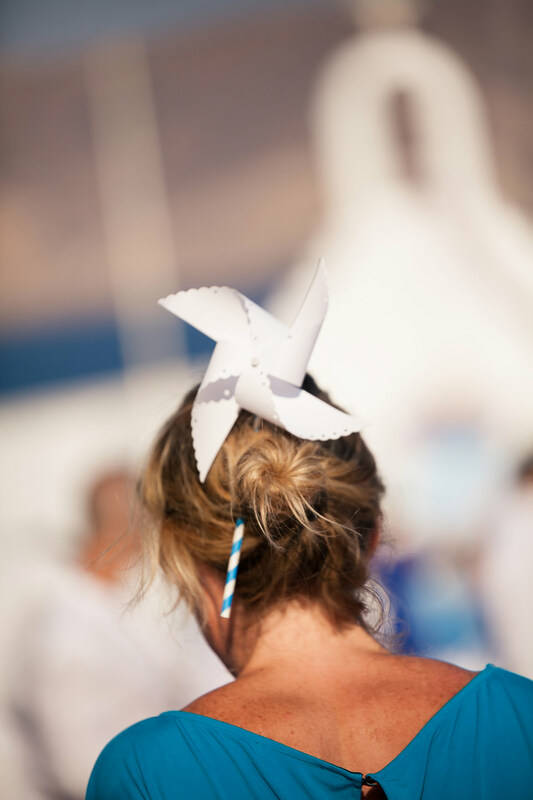 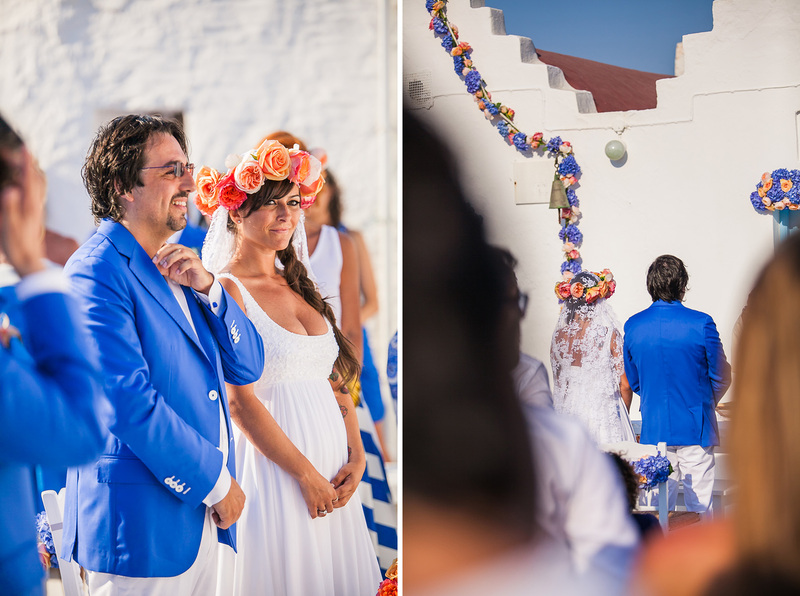 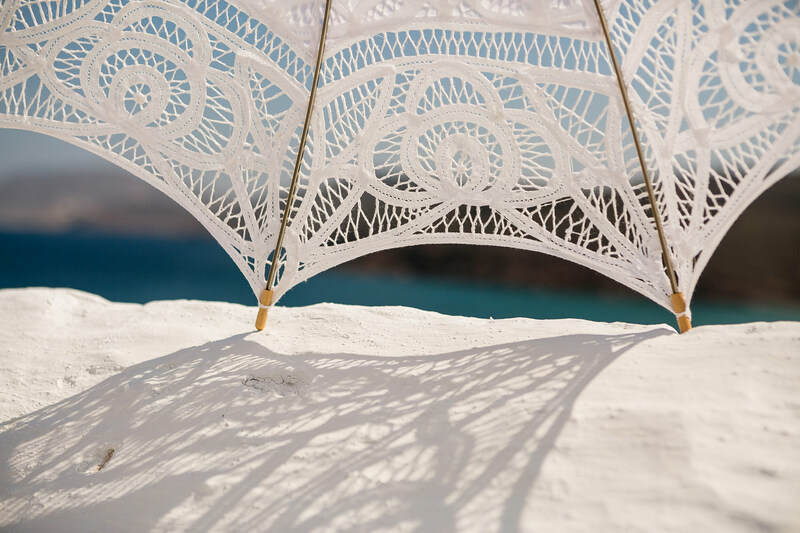 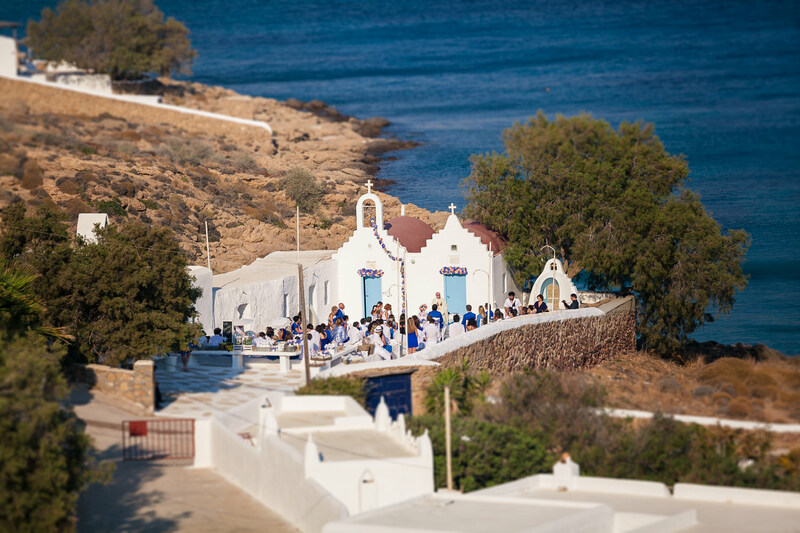 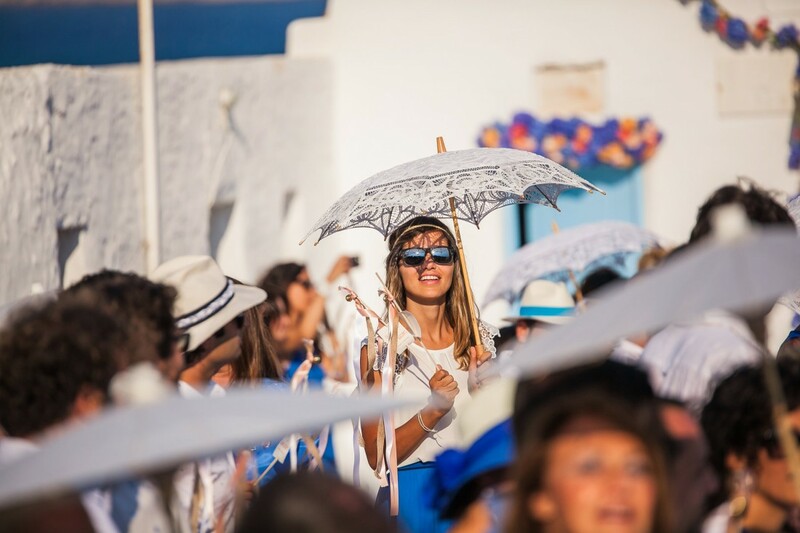 Mykonos is a magical place in Greece but mostly has a special meaning for the couple. 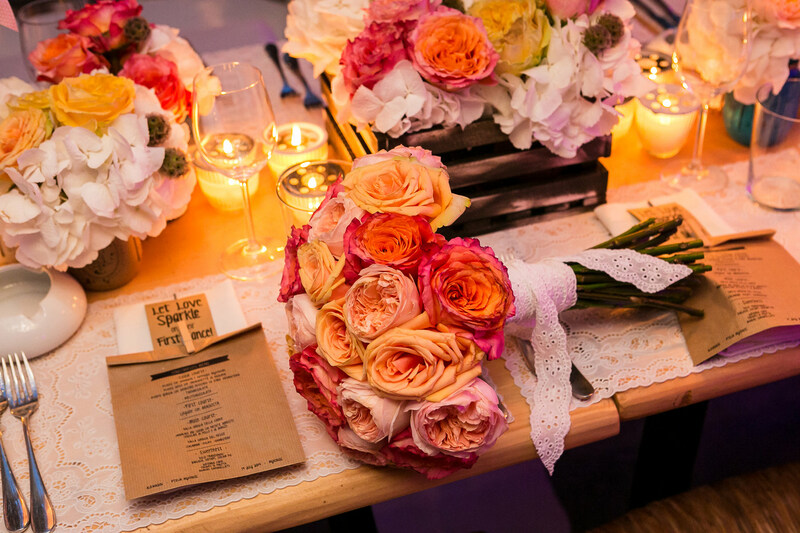 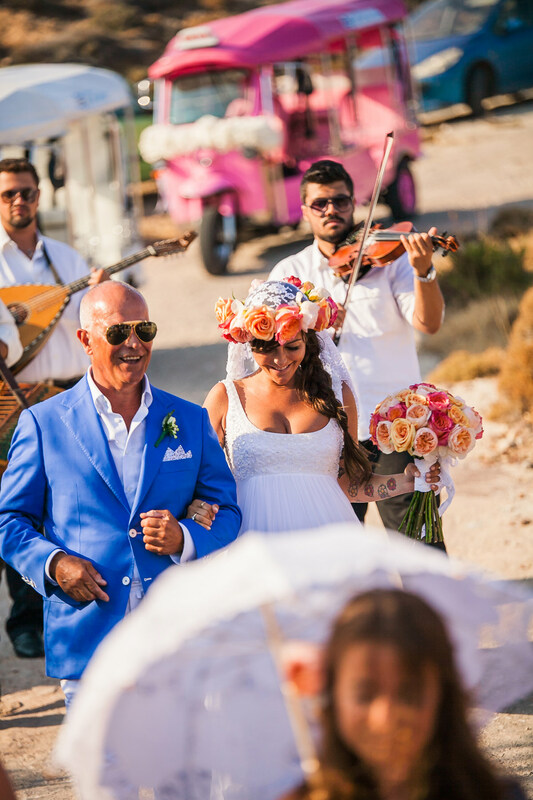 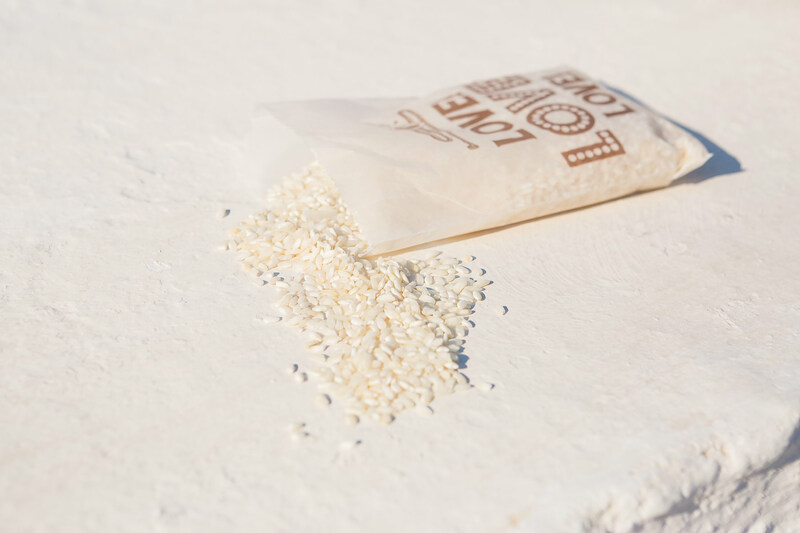 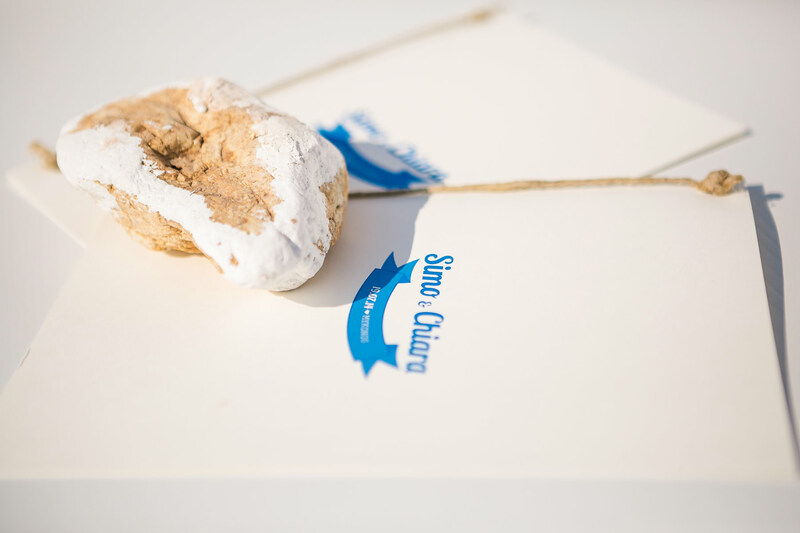 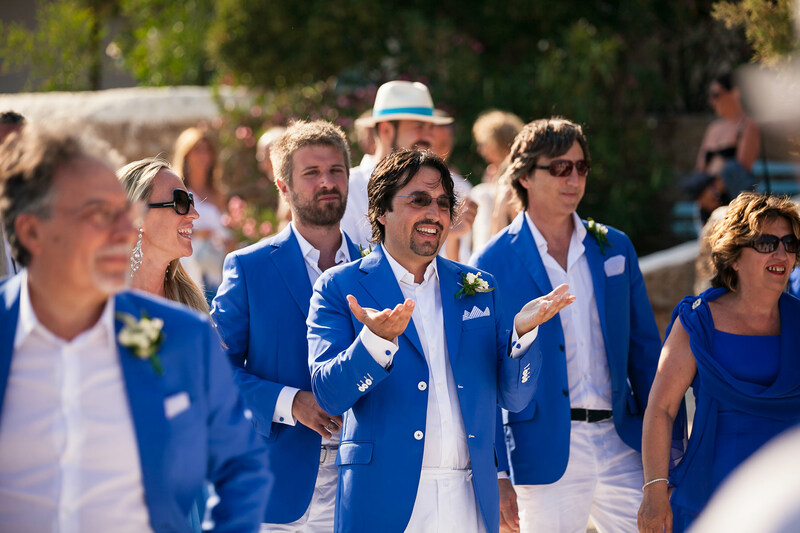 As a natural decision all the guests came from Italy, the country of origin of the couple, to be part of their love story. 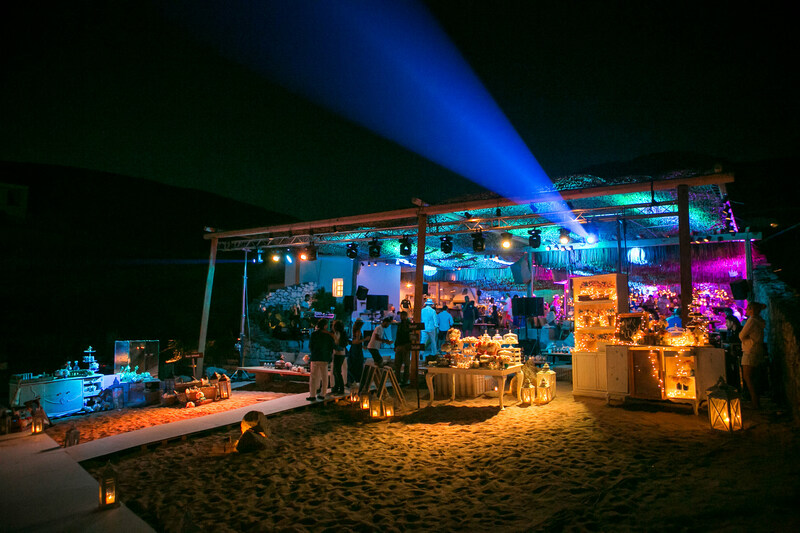 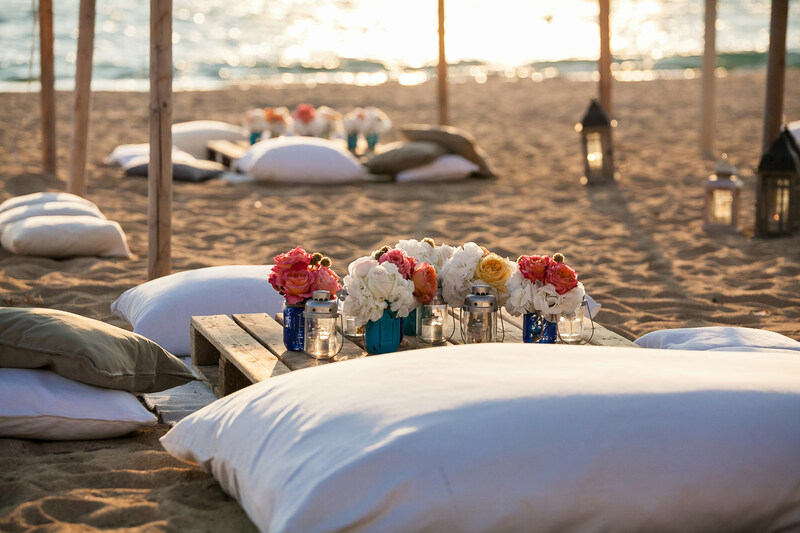 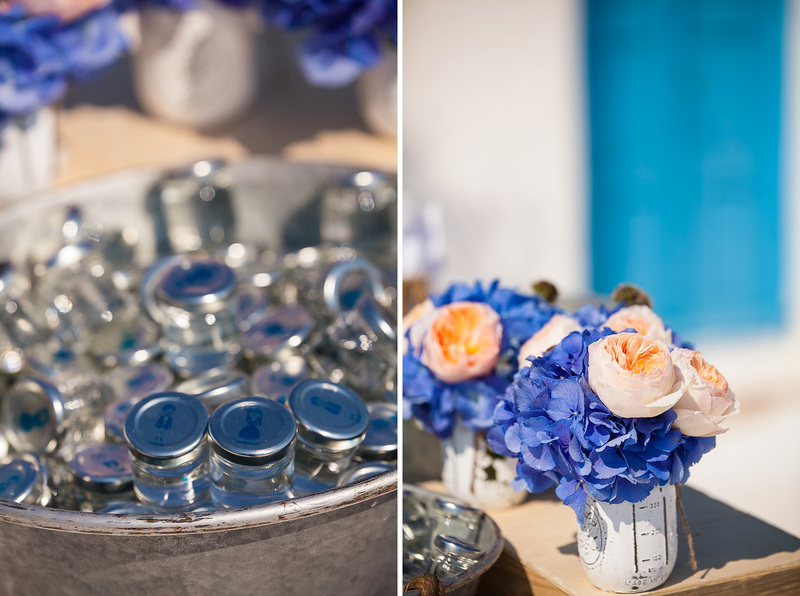 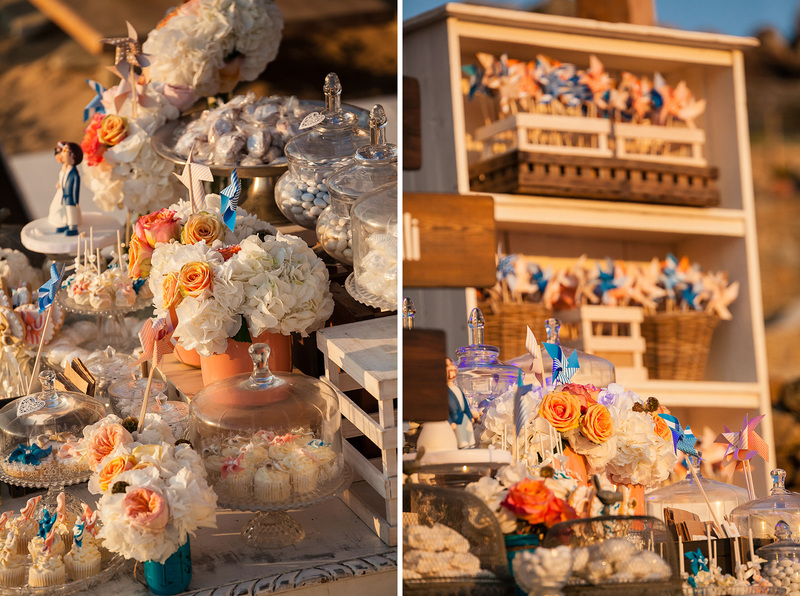 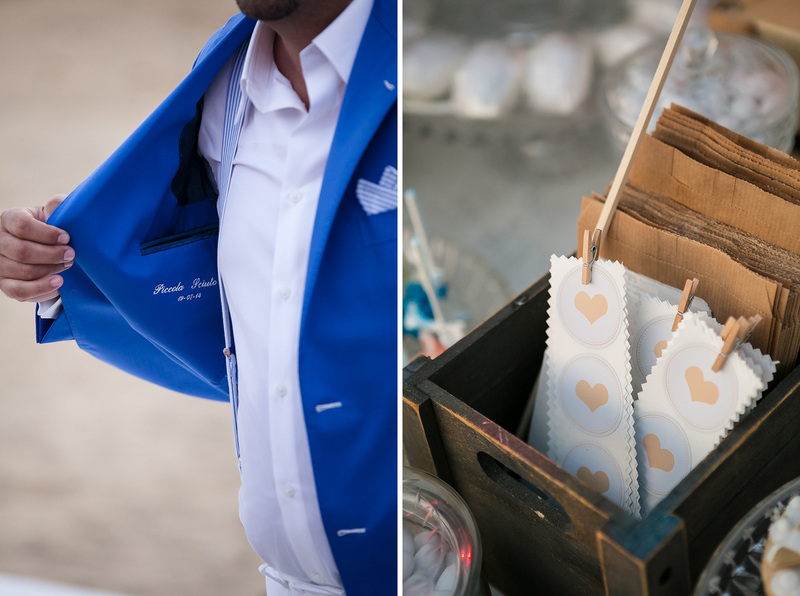 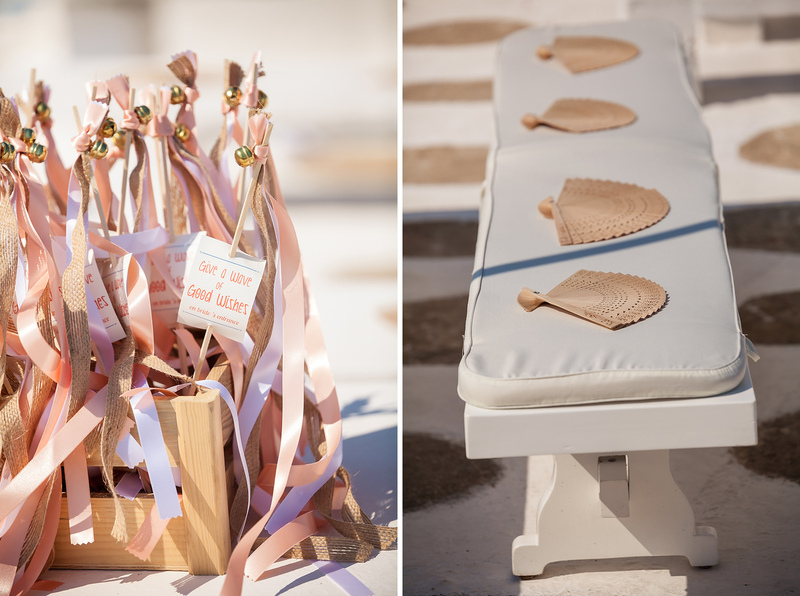 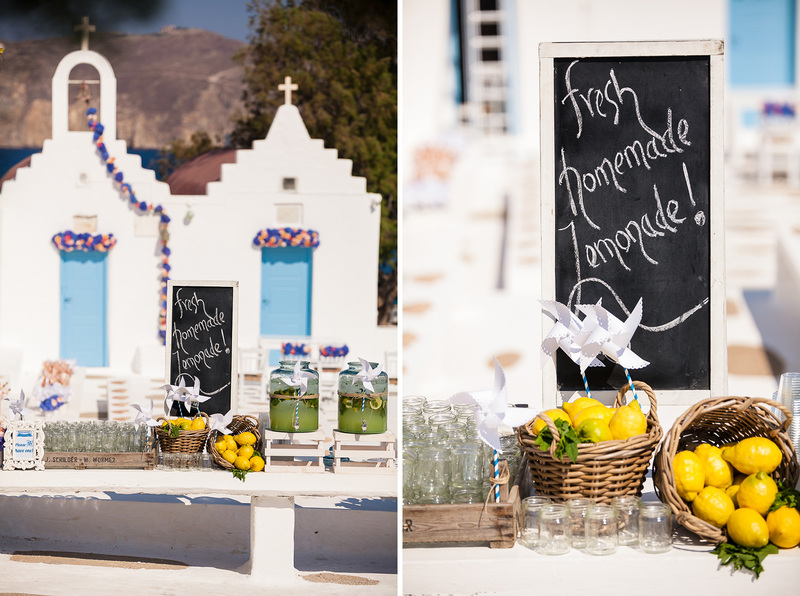 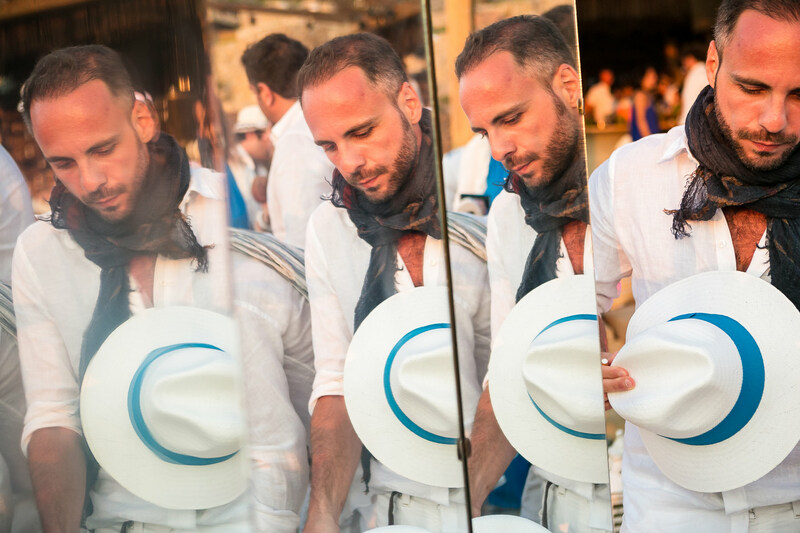 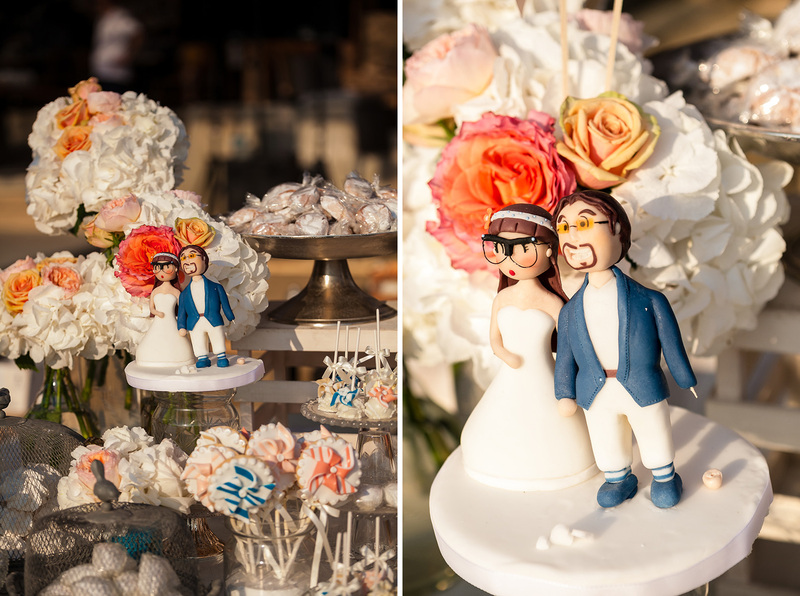 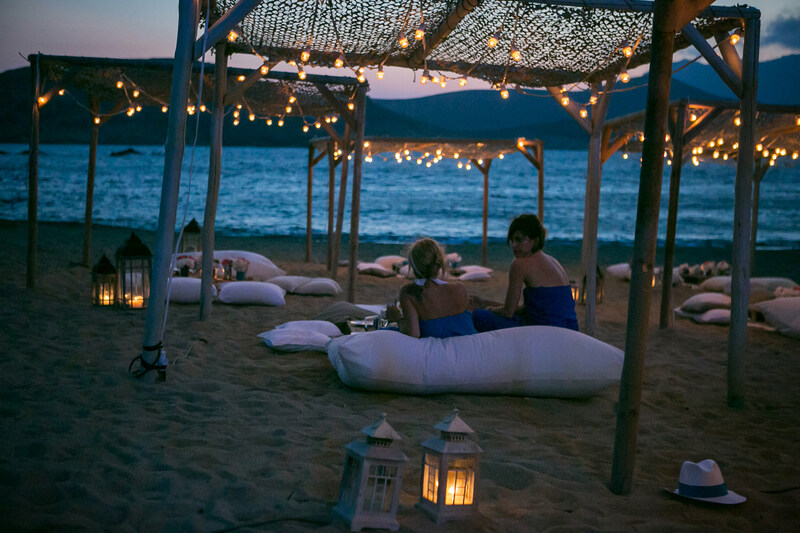 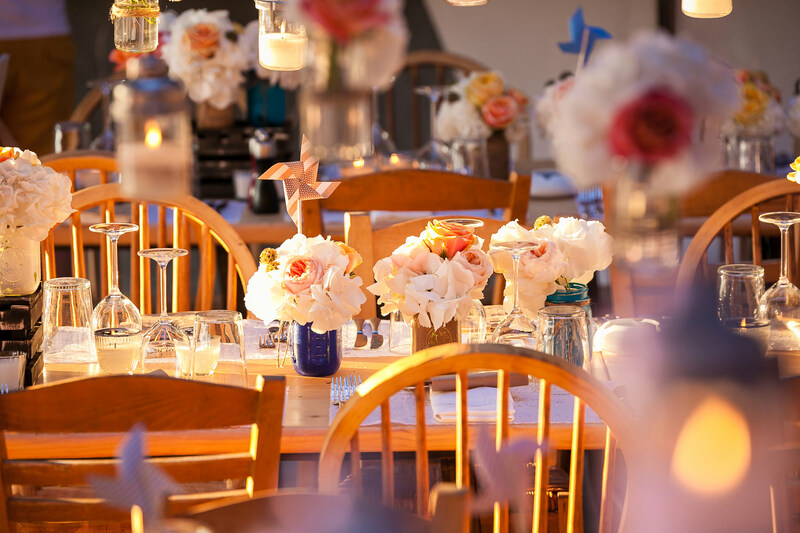 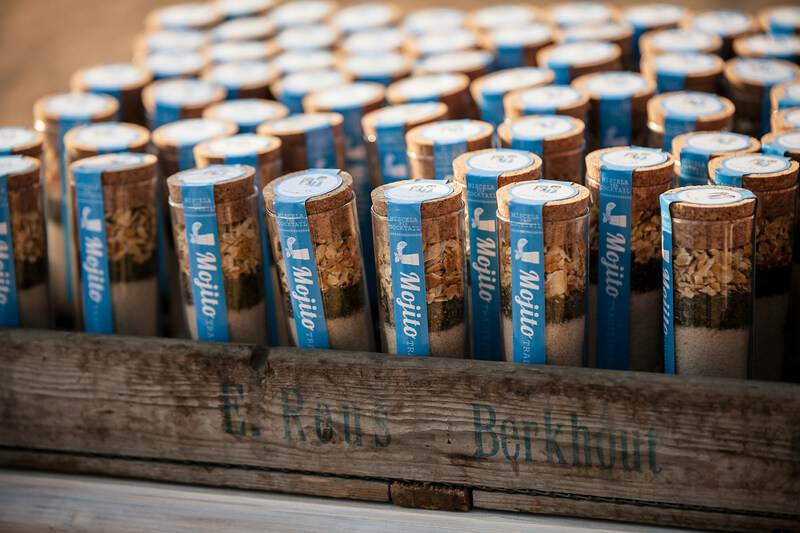 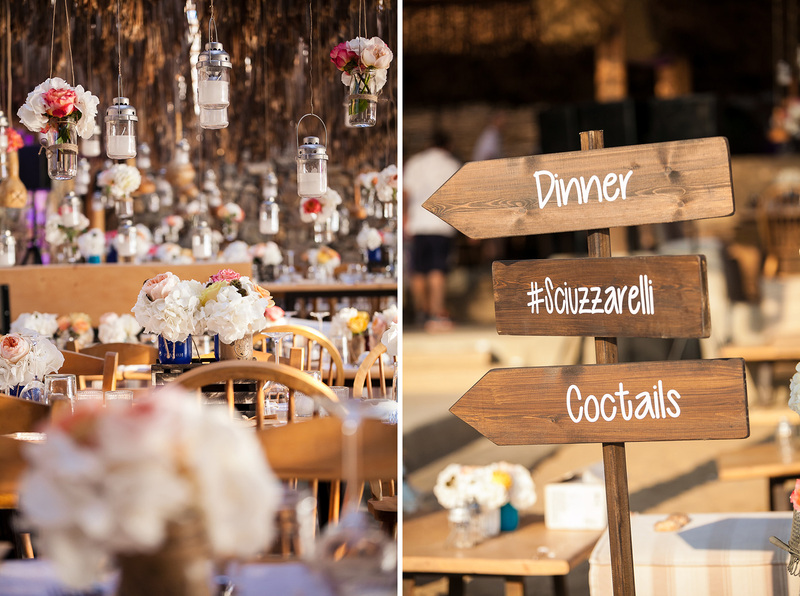 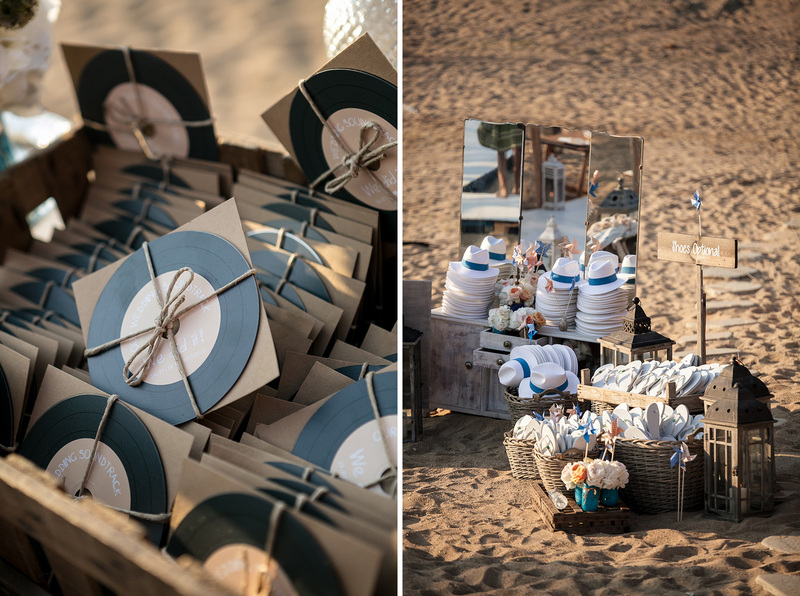 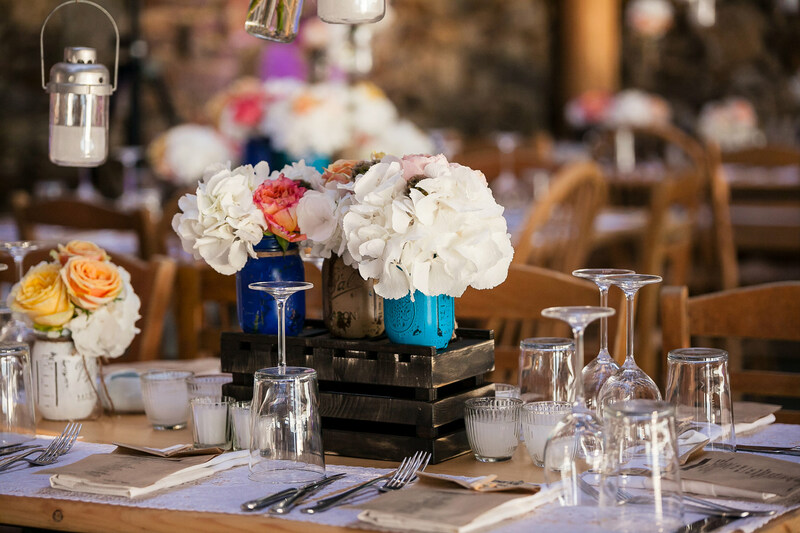 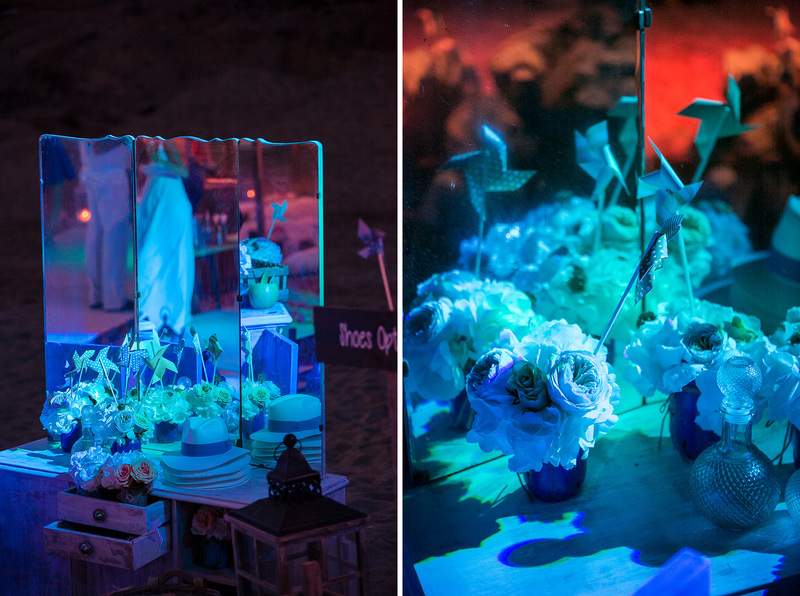 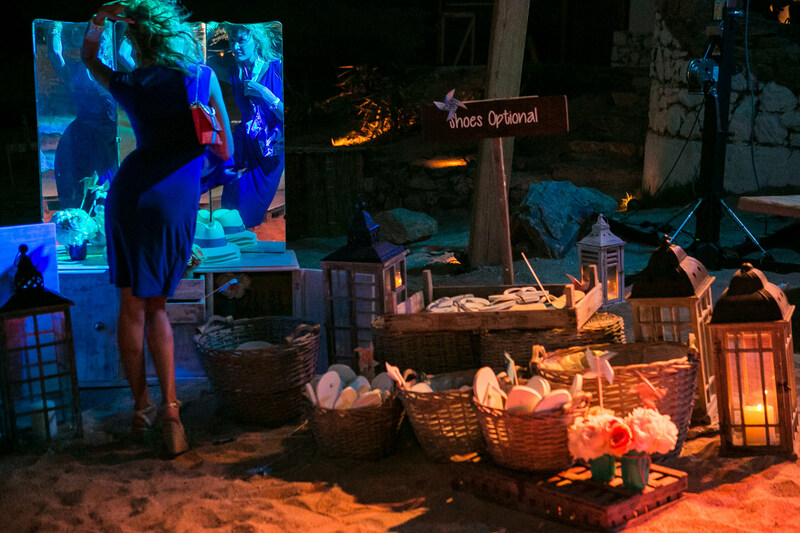 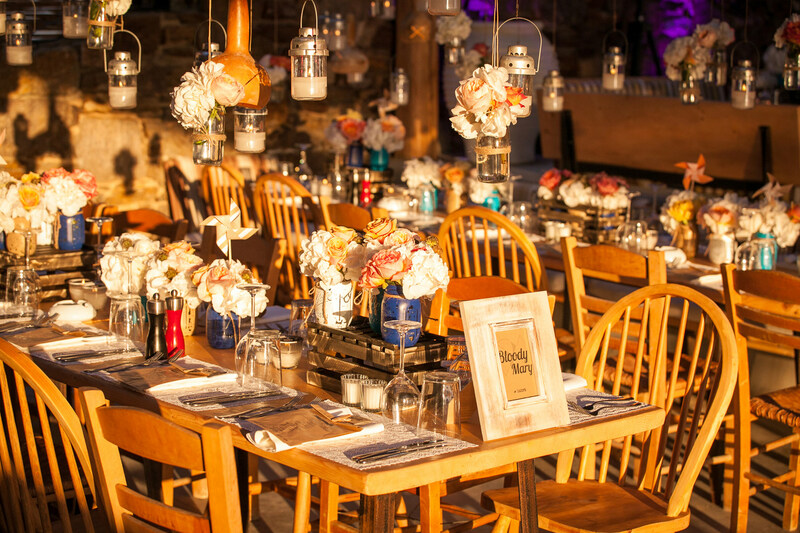 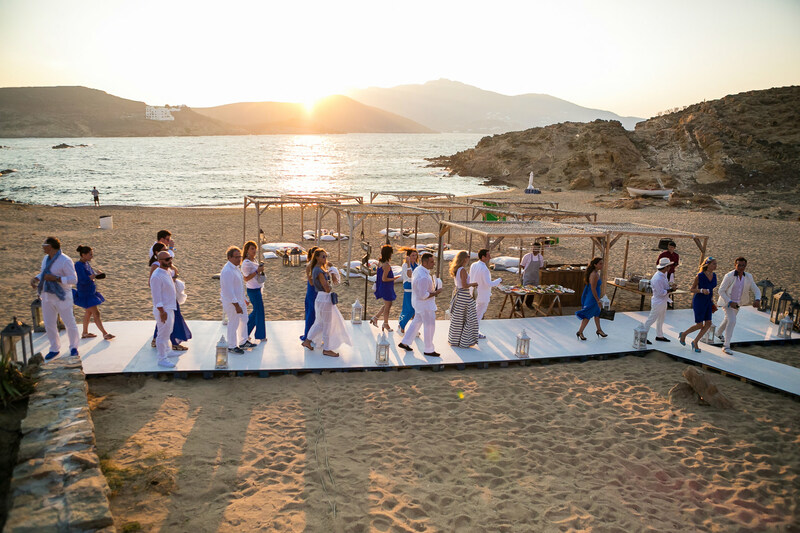 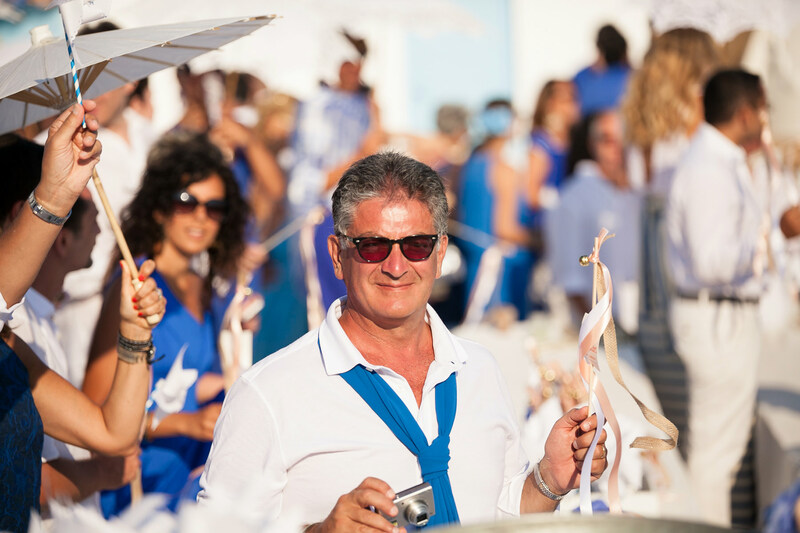 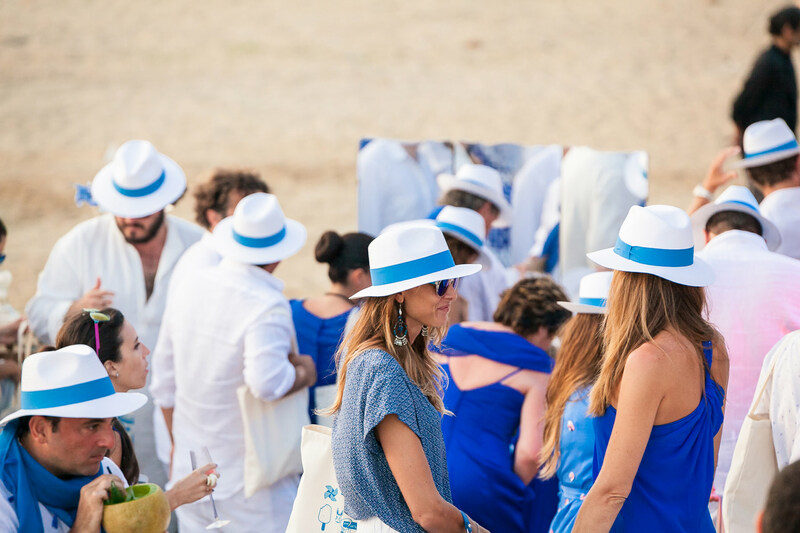 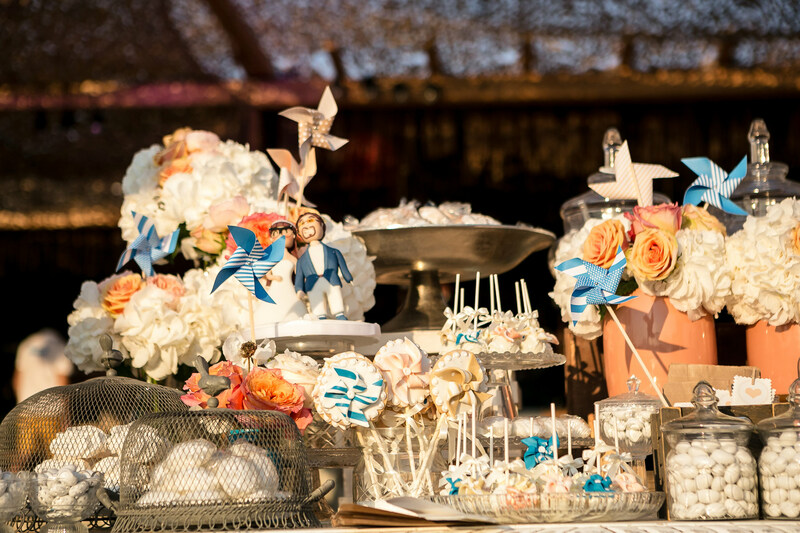 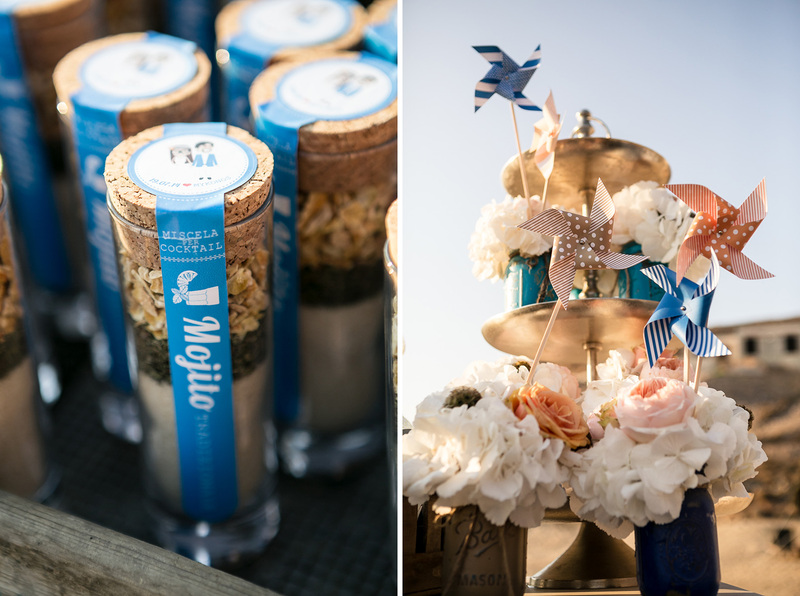 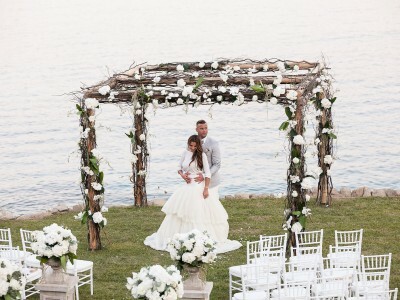 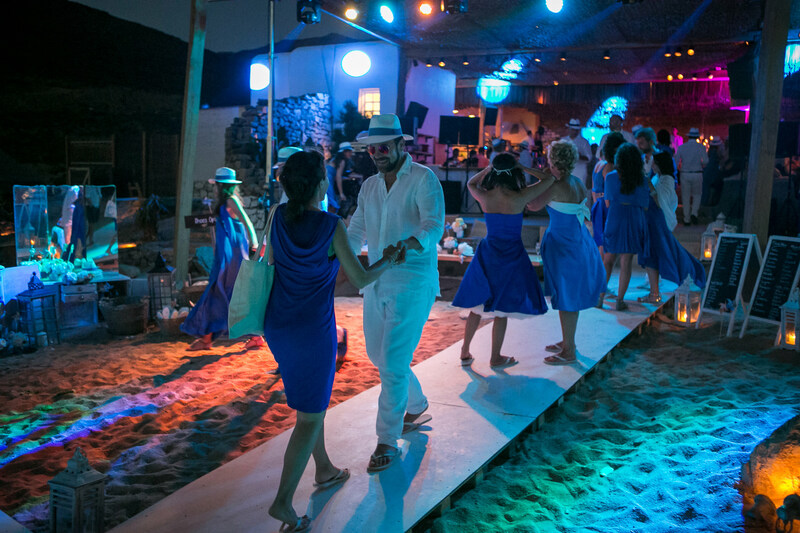 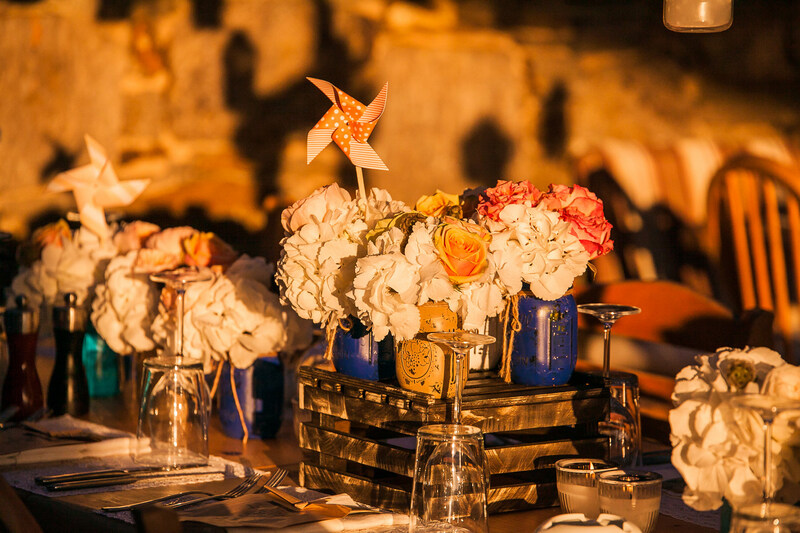 The reception took place at Alemagou beach were a relaxed and magical party took place. 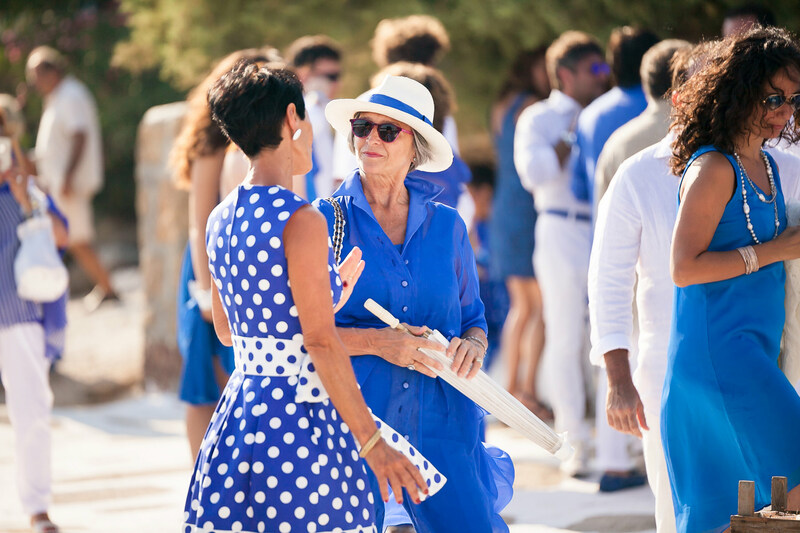 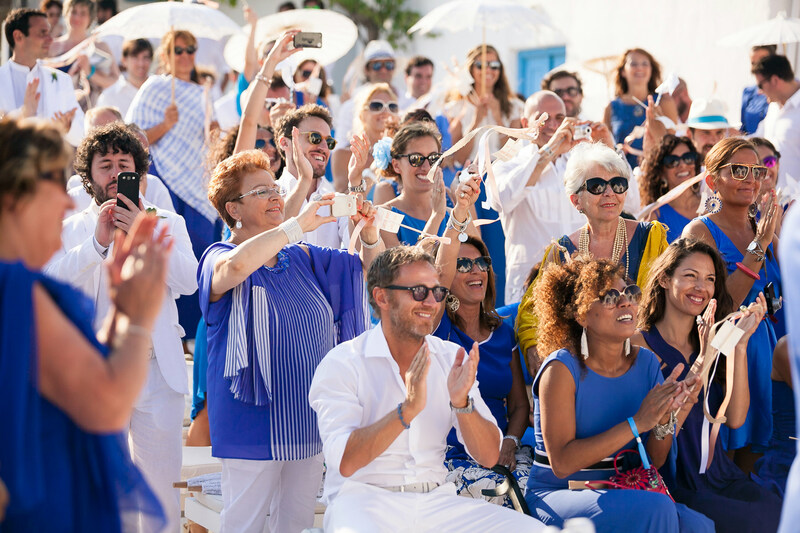 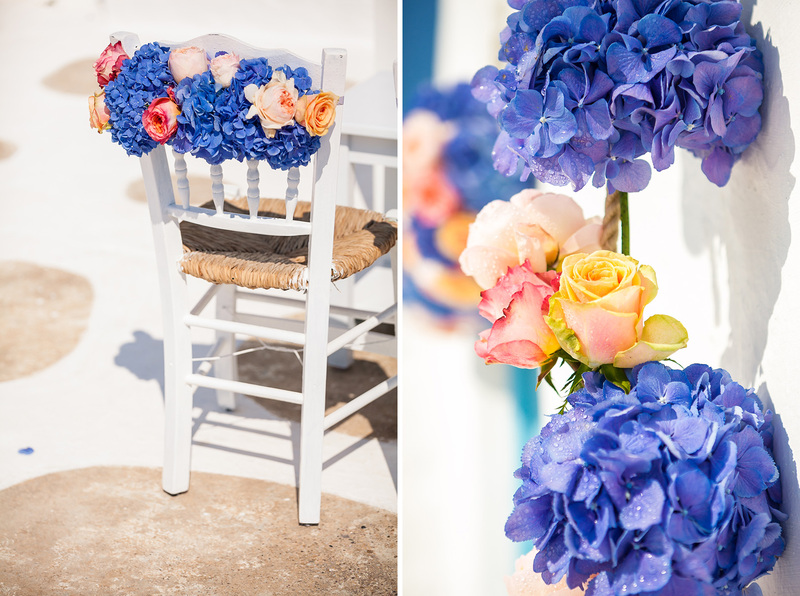 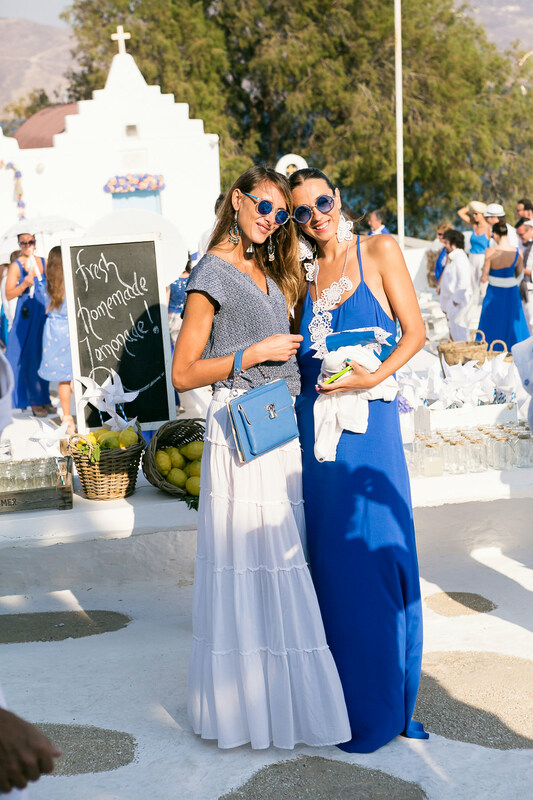 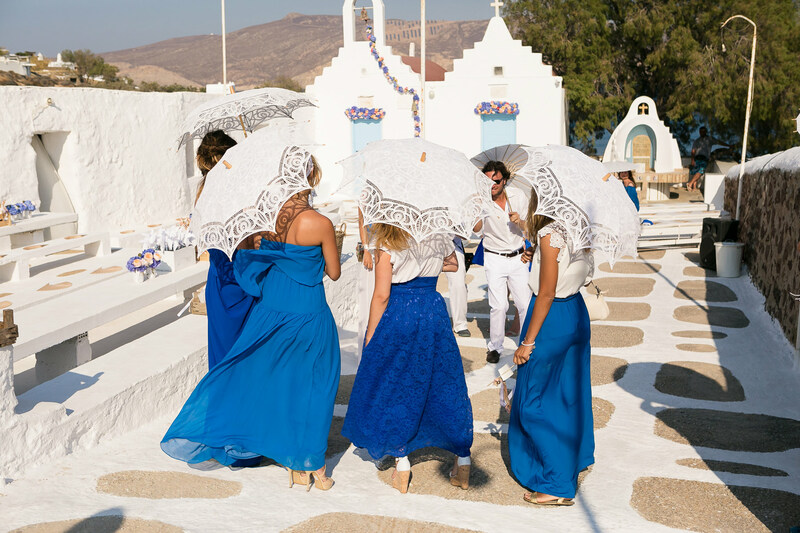 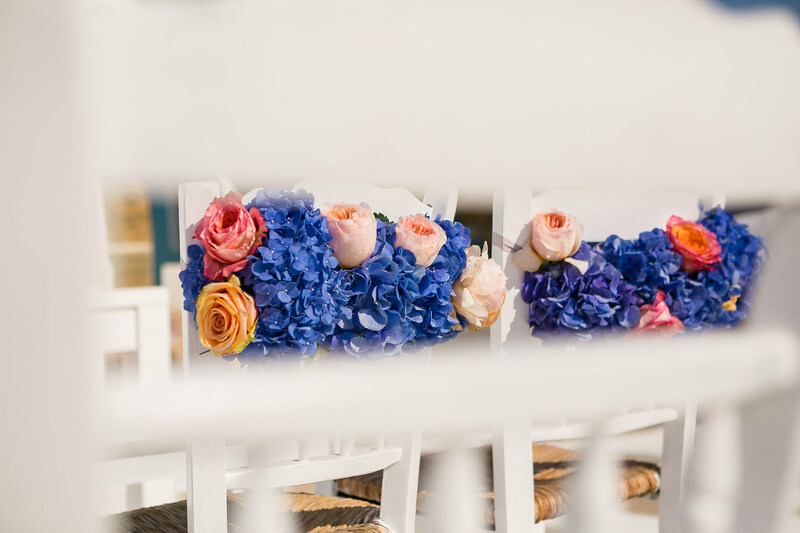 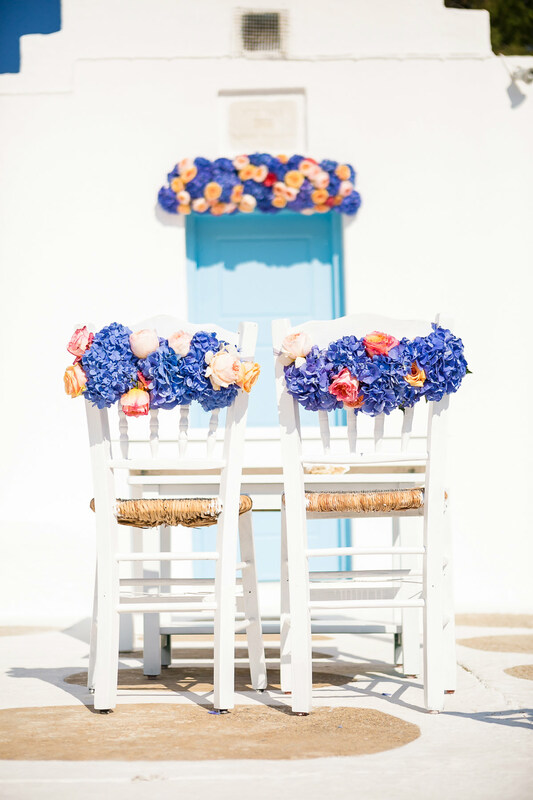 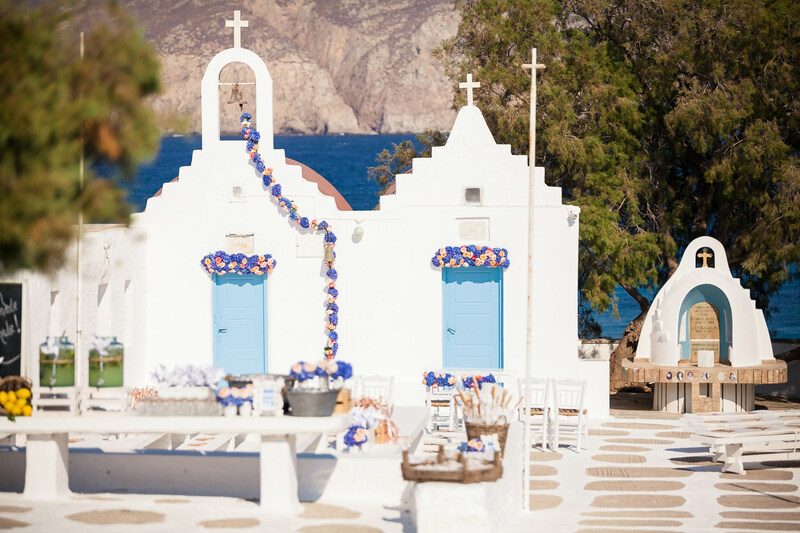 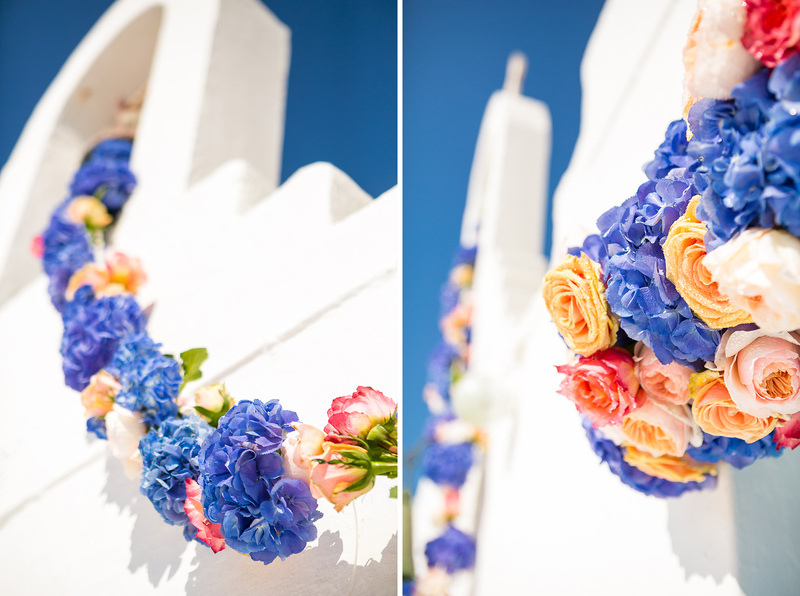 Coral and blue were the main characteristics of the decoration, even the dress code was strict were women and men dressed in white and Mykonian blue colors, creating a unique visual effect. 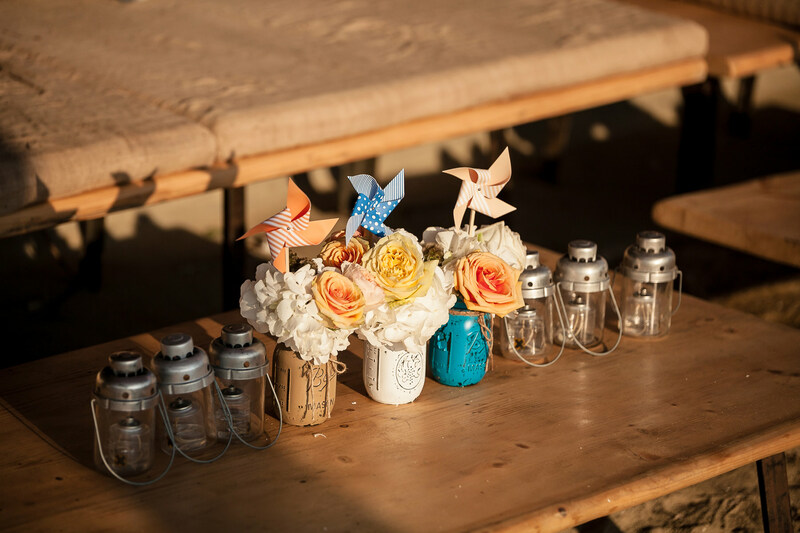 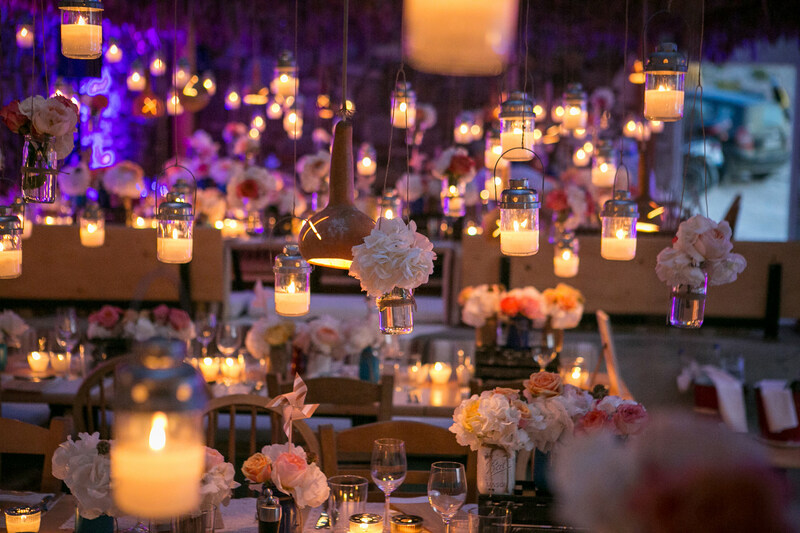 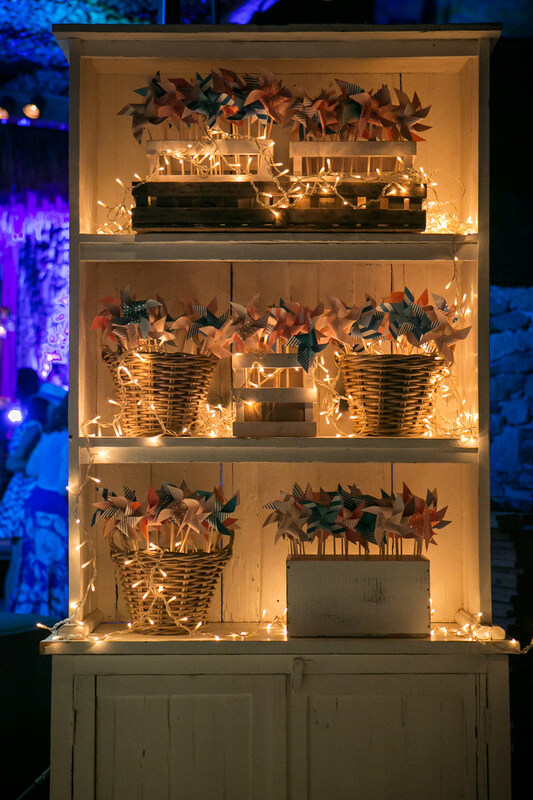 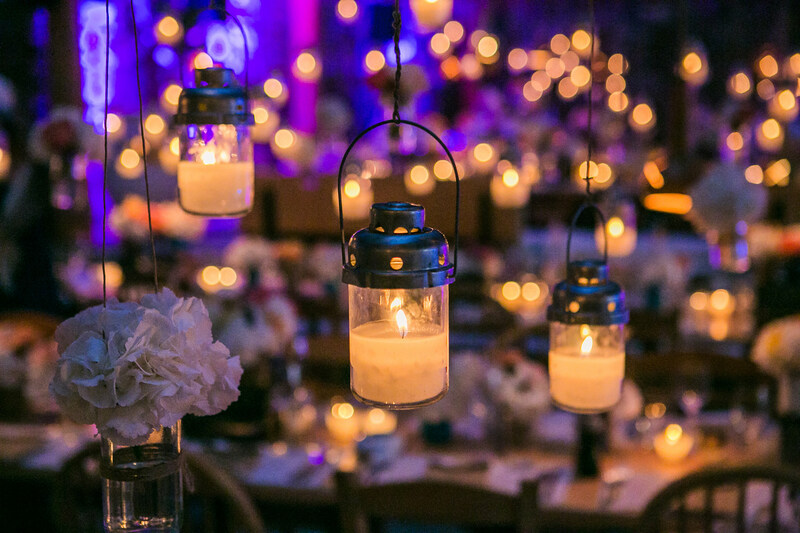 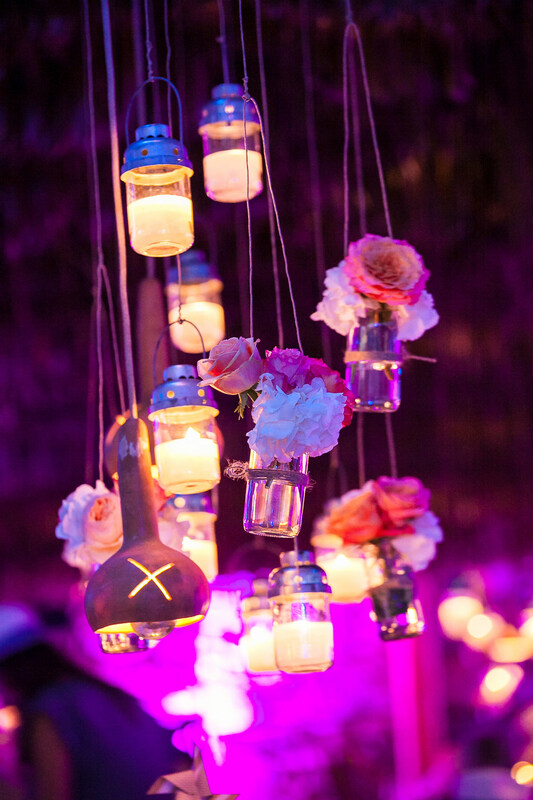 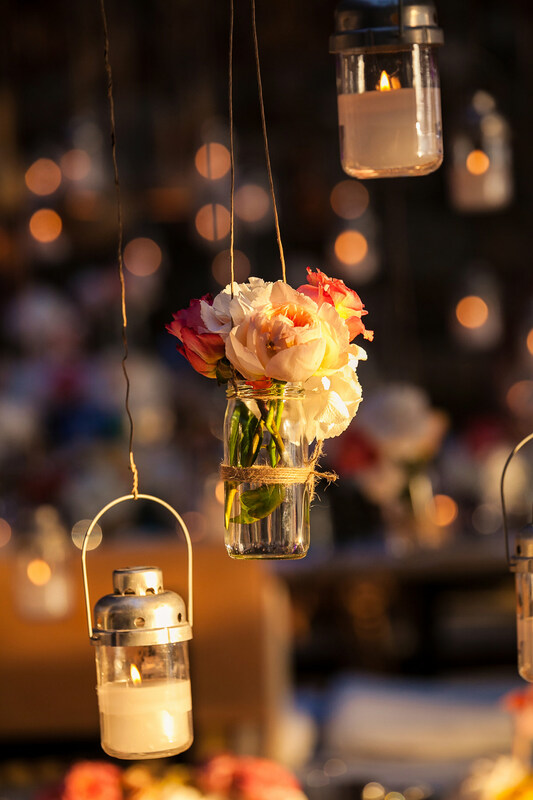 Lanterns were hanging from the ceiling white roses and the guests could find everywhere gifts that the couple has chosen with love, such us beach bags, mojito mixes, white and blue Panama hats, DVDs, flip plops …… An amazing collaboration of DeplanV and The Twelve Events wedding planning agencies. 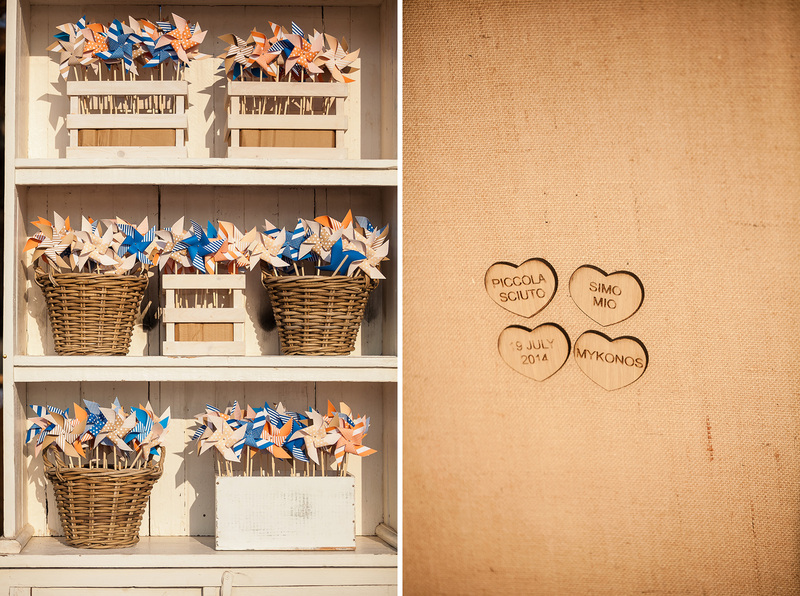 It was truly a please for me to work for Chiara & Simone.